Are you interested in blogging but don’t know where you are going to get blog post ideas from? Did you know that approximately 56.0 million new posts are published on WordPress every month and approximately 409 million people are reading blogs published on WordPress and that number is growing every day? These numbers are staggering but they don’t even take into account all the Self-hosted WordPress statistics which would double or even triple that number. If you don’t have a WordPress blog yet and you want to learn how to start a blog then head over to my homepage for step-by-step instructions. If you already have a blog and are looking for blog post ideas then keep reading. Every new blog post begins with a single idea, and it can be tough to keep a stream of topics flowing to fill up your content calendar. Not only is it tough to constantly come up with ideas, but coming up with good blog topic ideas that keep readers engaged is another challenge in itself. If you need a few blog post ideas to get your content calendar off of the ground, today is your lucky day. I have put together 101 prompts to break through your writer’s block and spark your creativity. The best news is that no matter what type of blogger you are, you’re sure to find a topic that strikes your fancy. 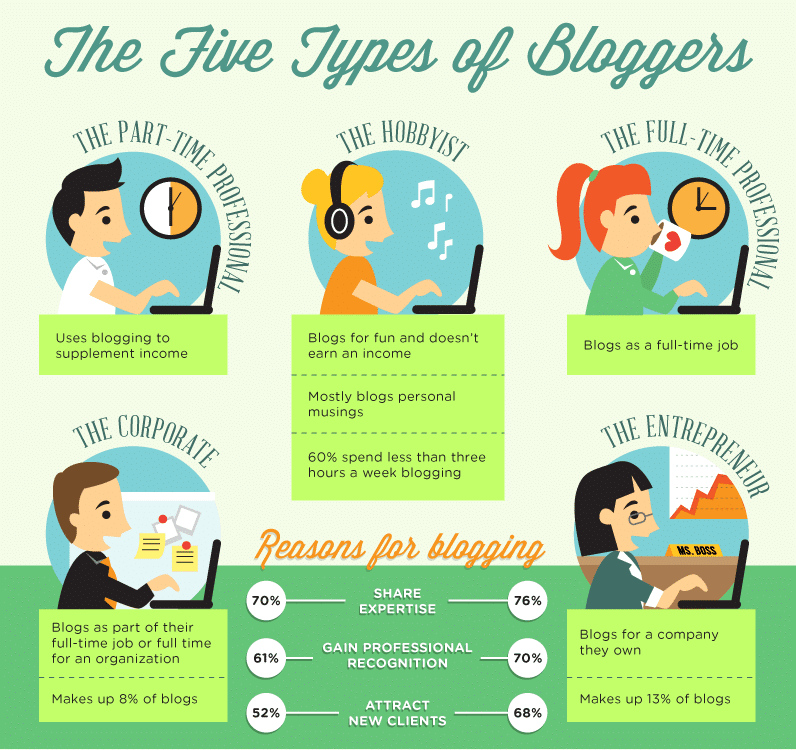 But what are the types of bloggers? After you decide which category fits you the best, browse through these 101 blog post ideas to keep you busy (and blogging) throughout the year. If this is your first blog post, your readers might be wondering who you are. Use your first post to tell your story, what inspired you to start a WordPress blog, and what you plan to achieve with your writing. Your first blog post is your chance to make an introduction for yourself and establish your tone. Problogger suggests that you focus on pillar content to kick off your blog, which consists of content that will be referenced time and time again. Everyone likes to hear about positive news in their local community. Pick your favorite charity and spotlight what they do that makes you smile. 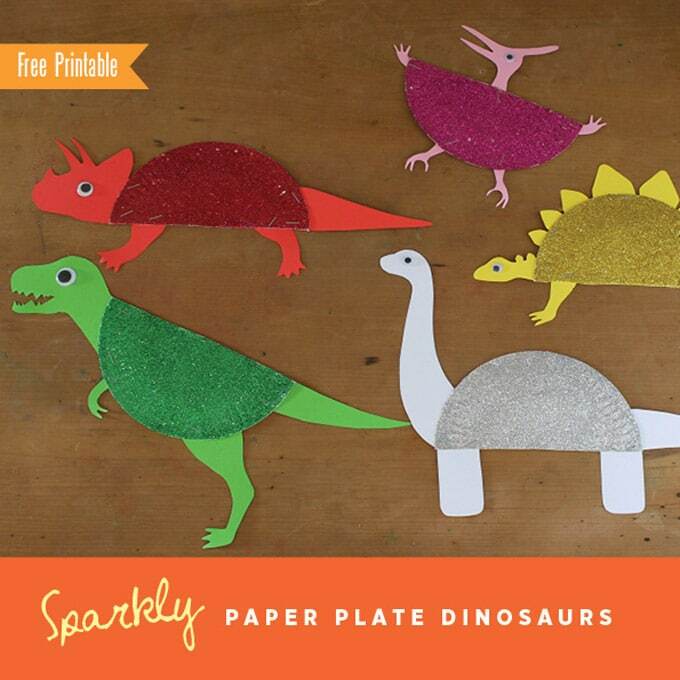 Here’s a great blog post idea. Did you know that blogging for your favorite charity can actually help them raise money or collect other donations? It’s true. That’s because blogging is an efficient way to increase brand awareness, which can help get more exposure for your favorite charity. Another great idea to bring community awareness is to highlight a local college or two in your area. Let your readers know what makes them stand out from other schools in the area and why you think they’re the best. Once your blog becomes popular, you can help drive extra traffic to a local college’s website with your post. Blogging is a great way to increase traffic to your own site, but you can also return the favor to an establishment that you admire. List posts are fun and easy to write—and not to mention, they’re highly shareable on social media. 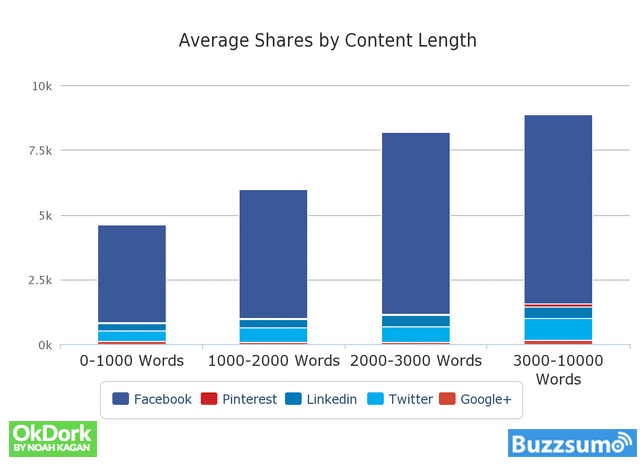 In fact, list posts account for roughly 12% of all posts with more than 1,000 shares. Keep your readers informed of interesting news that you hear around the web or TV, from politics to pop culture. The news you share will depend on the overall tone of your blog and what type of readers you are looking to attract. If you think you have to research news topics, think again. Social Media Examiner offers 4 little-known tools to help you curate news content for your blog without lifting a finger. You can also use Google Alerts to have news with specific keywords delivered straight to your inbox. Odd laws and facts always make for an interesting read. You can find plenty of information for your own state with a quick search on Google. This weird state laws post had over 170,00 views. There’s just something interesting about reading odd laws and facts about the place where you live. Can’t get enough of Christmas? Every season has dozens of opportunities for blog posts. Tie in popular Christmas songs or stories to make your post fun and relatable. Holidays are also a way to create an emotional connection with your readers. If you’re a company blogging about holidays, Content Marketing Institute gives a real-life examples of brands using content to establish an emotional connection. Do your readers want to learn something new? Help them out by writing a how-to post within your own area of expertise. If you need a bit of direction on writing your how-to blog post, Copyblogger gives some great advice. They suggest focussing on benefits and a carefully-structured headline. What do you love about it? What do you hate about it? What do you wish you could change? Ask your readers for feedback and find out what they enjoy about your design as a whole. Involving your readers in the comments is also one of the top techniques to try for engagement. Have you lost a substantial amount of weight? Did you start your own business from scratch? Highlight your accomplishments to motivate your readers to take action in their lives. Writing an inspirational blog post can also help increase your readership. Fitness bloggers are a great example of this. T-Rex Runner wrote an inspirational blog series about overcoming an eating disorder and received outpouring support. She was later invited to write for Women’s Running Magazine in result of her blog. What about the person in your life who has inspired you to move mountains? Make them the star of your next blog post. To kick your inspiration post up a notch, consider doing a roundup of inspirational stories or sources, like LifeHacker did on this blog. Create a series where you document your experience and progress with learning the world of WordPress. When you look back, you’ll be able to see where you started and how far you’ve come. Documenting your progress can also help you achieve goals. So, if mastering WordPress is on your to-do list, consider documenting as you learn. Do you have a story to tell that spans over a year or more? Break your story down into a timeline fashion and document it all month-by-month. Timeline or no timeline, storytelling is a hot pepper in the world of blogging. In fact, Buffer increased their readership by 300% by implementing some storytelling techniques. Check them out for yourself. Aside from numbered list posts, checklists are also helpful for readers. A checklist can be anything from a step-by-step housekeeping checklist, or even a healthy food grocery shopping checklist for food bloggers. Checklists are one of the most popular blog post styles on the planet. You can even find checklists that tell you how to write a blog post, like this one from CoSchedule. If you want a quick way to relay educational information to your readers quickly and effectively, a getting-started guide is a perfect place to start. Getting started guides are great for beginners and they help make your readers lives easier. CoSchedule wrote another fantastic blog with a 4-step system for writing a great blog post, even if you have writer’s block. Have more time on your hands? Skip the starter guide and dive straight into an all-inclusive guide. Prediction posts are perfect for the beginning of the year, but you can really use them at any point on any subject. Make a prediction about something in your industry or even a sports team. Prediction posts can also get a significant amount of social shares, especially if you’re blogging for a particular niche or industry. Content Marketing Institute wrote a blog post predicting the future of content marketing for 2016—it received over 1,600 shares. What do you want the most in life? World peace? A happy home for every pet on the planet? To hit the Powerball? Let your imagination run wild and write a blog post. Whether it’s winter, spring, summer, or fall, tell your readers which season you like the most and how it makes you feel. Seasonal blog topics are another great way to spice up your blog post. 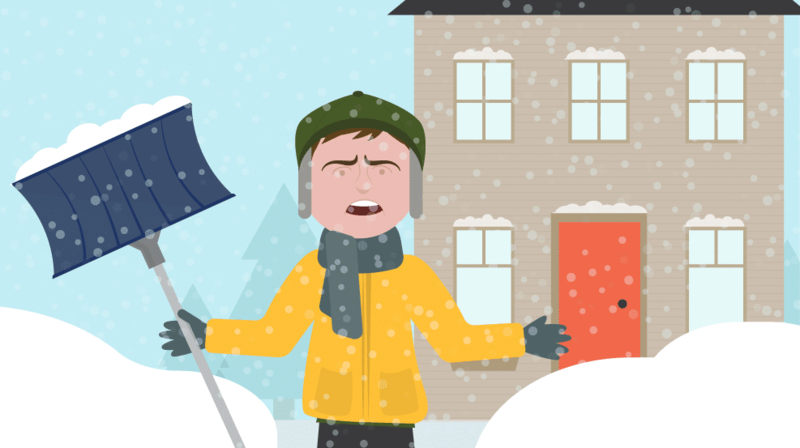 These topics can correspond with holidays and even the weather. You can also make connections such as growth and rebirth for spring, and other great ideas from this seasonal blog post by Business2Community: What Can You Blog About? Seasonal Blog Topics. On the other side of the coin, write about the season that gets under your skin the most. Were you a high school or college athlete? Are you active in your everyday life? Write about your workouts and what you enjoy about them the most. Your experience with sports also enables you to tie in more storytelling techniques. Copyblogger wrote a guide to mastering the art of a great storytelling technique here. Are you in the midst of making a decision? Whether it’s what to have for lunch or what car you want to buy next, a pros and cons blog post can spark some interest. Pros and cons blog posts are another immensely popular topic idea that can stretch across many industries and niches. In fact, the pros and cons topic made it on to Buffer’s top 95 blog topic ideas for creating craveable content. Nearly everyone has an opinion on the president and government officials. What’s yours? If you’re reading this during an election year, this is a great way to generate traffic to your website. This is another good opportunity to create a Google Alert and have reliable news sources sent to your inbox that cover politics, such as CNN Politics. A lot of people search online for restaurant reviews in their area. Take it upon yourself to write your own review, and see how many people agree or disagree with you. This post by BloggingPro gives insight on how to write an effective blog post review for many different purposes. Have you seen any good movies lately? Write a review and become a movie critic for the day. Even if you haven’t seen any recent movies, there are all kinds of blog topic ideas that center on movies and filmography. Check out this post with 100 Classic Movie. If it’s early in the year, give a forecast on expectations of how your year will go. You can make predictions on anything from how many miles you’ll run or even how much income you’ll make. In fact, income report blog posts are quite popular. This is a good example of an income report series from Smart Passive Income. If you’re blogging at the end of the year, give an overview of your ups and downs. One of the best parts about recapping your year is being transparent about your efforts. Transparency builds trust and can actually help you win customers. This blog post from Quick Sprout explains why transparency is the new marketing. Have you ever met anyone famous? Write a post to recap the whole story—and include pictures if you can. This post from Gawker about a bad celebrity experience with Iggy Azela had over 230,000 visits. By now, you have 31 great blog posts to talk about with your readers. Why not give them a peek into your new blogging calendar? You don’t have to give away every detail, but giving bits of your upcoming schedule can help spark interest. Need a good way to organize your new blogging schedule? Check out CoSchedule. This content marketing calendar can help you stay on track with your publishing dates, social media posts, and more. You can also invite people via email to view and contribute to your calendar. Do you have a personal collection to be proud about? Whether it’s a stamp collection or a collection of movies, others with similar interest would love to read about it. This is also a perfect way to connect with other hobbyists and establish relationships through blogging. 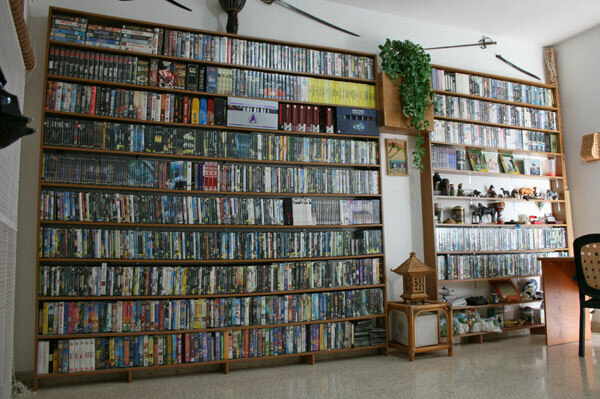 Personal movie collections such as this one from Forumotion.com would make a great post for a collection, and a great conversation starter as well. Almost every family has one. Who is the craziest member of your family? Including photos will take the story to an entirely new level. There are a lot of bad and gimmicky diets out there, and it seems like every day there is a new one that pops up on TV or the cover of a magazine. What diets have you tried that failed miserably? To get your wheels turning, check out these 14 Fad Diets You Should Never Try according to Huffington Post. If you’ve tried one of the diets, consider featuring your experience on your blog. With the recent passing of rock star legend David Bowie, you can take the opportunity to write a tribute on your blog if you were a fan. If David Bowie wasn’t your all-time favorite rock star, there are plenty of others who also deserve a great tribute. If you need some ideas on how to write a great blog post tribute, check out this collection of the must-read David Bowie tributes from Vulture. Everyone loves a good riddle. Find an interesting one to share, or even write one on your own. Give clues throughout the post and see how long it takes for someone to come around and solve it. What are the top activities on your bucket list? From traveling the world to meeting your idol, it’s fun to think of all the amazing things you can accomplish during your lifetime. Haven’t started your bucket list yet? Here’s 5 reasons to get started with your bucket list now from Huffington Post. Did you go to college? If so, give your readers insight as to why you selected your major. Determine if that major was a good fit for you, and if you found a career that relates to your major. Huffington Post also has a small collection of college-experience blog posts that can spark some ideas for your own blog, from advice for freshman to debunking myths. It’s no secret that technology has drastically changed the way that we perceive the world. Write a blog post about the way technology has impacted the way we communicate in the world of journalism. 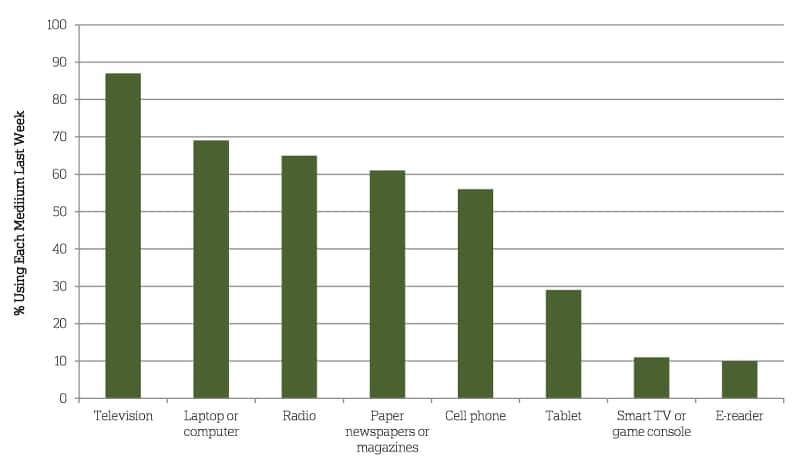 This bar chart from the American Press Institute shows how 70% of Americans get their news from an online source, which could be a good starting point for your blog. There are some movies that we can recite by heart. List the quotes on your blog and see if your readers can match the movie to the quote. Making it a game makes the idea even more fun for your readers. Need a good starting point? The Telegraph composed a list of The 100 Greatest Movie Quotes of All Time. Most of us also have favorite songs that we can sing line-by-line. Just like the movie quote blog post idea, see if your readers can match the lyric to the musician. This article by Huffington Post also gives a good idea for lyric blog posts: 11 Powerful Song Lyrics That Changed Our Lives Forever. There are a countless number of reality TV shows under every category you can imagine. List the shows that are your favorites and give an overview of each one—but no spoilers, please! To take the idea a step further, consider giving in-depth insight on your favorite show’s characters. This post gives a glimpse in terms of what reality TV fans really want to know about how shows are made. Everyone needs accountability every once in awhile. Share a workout schedule with your readers and update them weekly with your progress. Blog Mutt wrote a helpful post specifically for blogging about health and fitness, along with how you can keep your fitness goals. Writing a controversial blog post for the sake of controversy is never advised, but it can certainly help pull readers into your blog. Whatever controversial topic you decide to blog about, be ready for a possible debate in your comments section. Check out this article by Hongkiat on How to Write Controversial Blog Topics in a Responsible Fashion. Everyone likes to hear a good success story. Share one of your own or a success story that personally motivates you. Wondering how you can become a blogging success story yourself? Read this series from Lifehacker on How to Become a Blogging Success Story Part I. Sharing free information is a great way to earn trust from your readers. Free, helpful information will help your readers learn a thing or two about your industry, while also helping them remember your name when they’re ready to hire you. Not convinced that giving away free content is the right idea for your business? CoSchedule offers an insightful post that just might change your mind: Why You Should Give Free Content to Your Readers. Ever want to write a book? Use your blog to get started. Each blog post can serve as a chapter of your book—and depending on the topic, the chapters can give you enough topic ideas for months. Did you know that blogging can actually help land you a book deal? This article by Mashable reveals how 6 authors did it. #46. Answer The Age Old Question: What is The Meaning of Life? If you’re looking for a blog topic to get your wheels turning, you can always talk about the meaning of life. This topic is also perfect to have your readers chime in on your comments section, which can possibly lead to even more topic ideas down the road. If you’re a business owner, you likely hear all kinds of questions from your customers on a daily basis. However, there’s normally one particular question that customers ask over and over again. Answer that question in a blog post, and you can even point customers to that post for more information. ProBlogger wrote an entire post on how you can effectively answer beginner-style questions on your blog. #48. Where Will Your Industry be in 5 years? As we’ve seen in recent years, the economy can drastically change in the blink of an eye. Technology can also rapidly change, which can cause businesses to thrive or even fail. Given those scenarios, where do you think your industry will be in 5 years? #49. How Has Technology Improved (or Worsened) Your Industry? Speaking of technology, you can write an entire blog post on how technology has improved or worsened your industry to date. If you’re not a business owner, you can focus on how technology has impacted your life over the last year or two. Want to look further into the future? Time wrote the article about the most disruptive technology that will come out over the next 5 years. #50. How Would You Describe Your Niche or Hobby to Someone Who Lived 100 Years Ago? If you had to describe your industry to someone who lived a century ago, what would you say? This is a perfect topic if your niche or hobby is technologically advanced or did not exist 100 years ago. If you’re having trouble coming up with ongoing content, pick a service or feature to focus on your blog each week. It will help keep you on a consistent publishing schedule and allow customers to learn more about your industry. Keep in mind that you don’t want to simply outline a sales pitch when you feature products. Take note from this post from ProBlogger—how to sell products through your blog. #52. How Would You Sell Your Favorite Product or Service to a Skeptic? Let’s face it—not everyone is as passionate about your favorite product as you are. If someone is skeptical about buying your product, what do you say to him or her? For example, this example from HubSpot demonstrates 5 Simple Ways to Sell Email Marketing to a Skeptic. It’s hard to deny that social media has made a huge impact on the professional world as well as our personal lives. 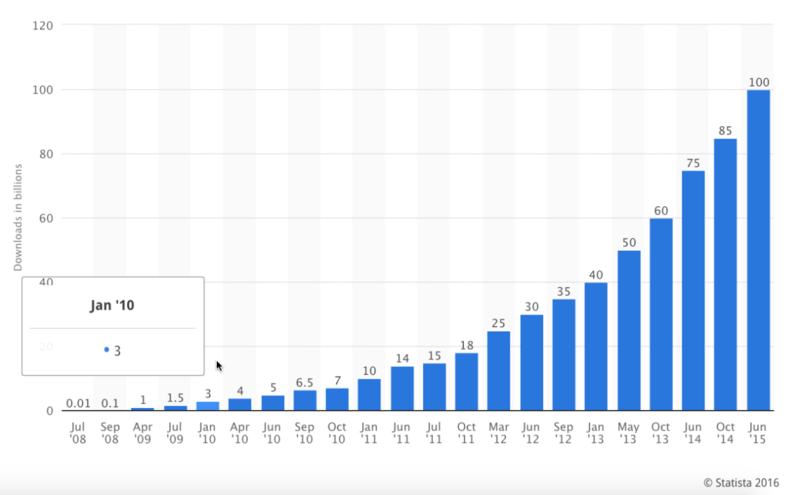 In fact, 1.59 billion users are actively using Facebook as of February 2016. How has social media impacted your life or business? Taboo topics can range anywhere from cultural to political. When it comes to taboo topics, blog about what others won’t and see how your readers react. Studies supported by data can turn into immensely helpful blog posts, especially if the research is new to your niche. Dive into statistics that have yet to be explored and open up new doors in your industry with your blog. If you need a way to take your case study to the next level, include these 2 things in every case study and business story. There are millions of apps available for both Apple and Android phones. As of July 2015, there are 1.6 million apps available for Android and 1.5 million available for Apple. Out of all of the apps that you’ve used, write a review about your favorite one. #57. What Was Your Life Like Before Smartphones? Did you know that an estimated 6.1 billion people will have smartphones by 2020? They are a necessary evil these days. What was your life before you ever owned a cellphone or smartphone? Each year, industry census reports emerge with the latest trends. Analyze the newest reports for your industry and give your own insight. People volunteer for all kinds of reasons. Write about a time you volunteered and what you learned from the experience. #60. What’s The Worst Advice in Your Niche That You’ve Ever Heard? There’s a lot of bad advice floating around in nearly any niche. What is the worst that you’ve ever heard about your own? For example, Hongkiat published an article on popular (but bad) blogging advice that you should ignore. You can take the overall feel and concept of this piece and turn it into something that’s relevant for your own niche. Writing a blog comes quite easily when it’s a topic that you’re passionate about. Think of a topic that lights your fire and share it with the world. Need help finding that passion? Check out this post from ProBlogger: How to Find Your Passion (& What You Should be Blogging About). Now that you’re going to start blogging, tell your readers what you find attractive about the concept and why it matters to you or your niche. Using statics in blog posts helps boost credibility and shows that you’ve done your research. If there’s an argument or debate that you’d like to broadcast, write a blog post using as much credible data as you can. Did you know that graphs and charts help your readers to visualize your data? As an example, you can see how Moz uses graphs and charts to help explain their techniques to increase traffic to your blog. Hitting the right work/life balance can be difficult for many to achieve. How do you handle this balance? Forbes can get you started and give you some ideas from this blog post: Work-Life Balance: 5 Ways to Turn it From The Ultimate Oxymoron to a Real Plan. Free writing is a technique where you simply write with no topic in mind at all—it helps you get your brain in gear and can also help spark some new blog topic ideas. #66. How Did Your Blog Get Its Name? Tell the story of how your blog got its name. If you decide to expand your website later, you can turn this section into an “About Me/About Us” page. Give an overview of items that you can’t keep on the shelves. You can also turn this post into a roundup blog post with interesting information and links to purchase the product if available. While you don’t have to spill every detail, tell your readers what you do every day. You can focus on this with your job, like this example post from Huffington Post: A Day in the Life of a Stay-at-Home Reporter. Whether it was working for a fast food joint or a local bookstore, talk about your first job and what you learned. For example, you can blog about one of these four essential skills that you should develop at your first job. Nearly everyone has a job, whether it’s a career at NASA or a world traveler. 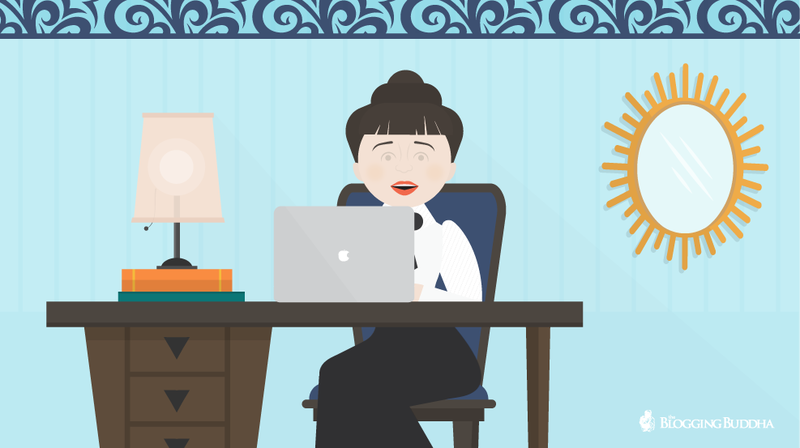 Tell your readers about your dream job and why it’s so attractive to you. Not exactly sure what your dream job is? No problem. Here are 9 Questions That’ll Help You Find Your Dream Career. #71. What is Your Daily Routine? Do you have a daily routine, or are you a free spirit? Blog about your typical day from the time you wake up to the time you go to bed. As an example, here are The Daily Routines of 12 Famous Writers (And How They Can Help You Succeed). #72. What is Your Dream Daily Routine? Now blog about what you wish was your daily routine. #73. What is a Problem in Your Niche That Still Hasn’t Been Solved? Think about a particular problem in your niche that drives you or your customers crazy. What would it take to solve that problem? Did you know that solving readers’ problems can help you fight writer’s block? This post by ProBlogger reveals 11 Tips to Breaking Blogging Bloggers Block by Solving Reader Problems. Reporting on trending news can help position yourself as an authority in a given niche. It also helps give you ongoing topics to blog about on a consistent basis. The idea behind this topic is curation. Here is a guide that will help you curate content quickly and effectively: The Busy’s Person’s Guide to Content Curation: A 3-Step Process For Your Blog, Newsletter, or Timeline. #75. What is The Biggest Lesson That You Learned Over The Last 5 Years? Whether that lesson was personal or professional, blog about the biggest lesson you’ve learned in the last 5 years and how it made an impact on your life. If you wish, you can even take these life lessons and span them over an entire decade, like this post: 10 Life Lessons I Learned in My 20s. You don’t have to be a computer whiz to create a printout template for your readers; it can be something as simple as a checklist or a fill-in-the-blank list to take to the grocery store. #77. What Was The Best Advice You’ve Ever Received? Blog about advice you received that helped shaped your personal life or professional career. If you’re looking for some good advice, this popular post from Huffington Post might help you out: 23 Successful People Share The Best Advice They’ve Ever Received. #78. Who Was Your Role Model Growing up And Why? Tell your readers about your role model as a child, whether it was a family member or a celebrity. #79. What Are Your Biggest Pet Peeves? Everyone has at least one pet peeve. What’s yours? #80. What Blogs do You Find to be The Most Helpful? Share the blogging resources that you turn to when you need top-notch information or advice—perhaps one is TheBloggingBuddha? If you’re new to the world of blogging, here is ProBlogger’s recommended blogging resources and tools. By now, you may have written over 80 blog posts. Highlight the posts that you’re most proud about, or the posts that had the most comments or attention on social media. #82. Who do You Follow on Twitter? Write a list of your blog followers and tell your readers why they should follow each one. Whether it’s pets, cars, or music videos, there’s no shortage of entertainment on YouTube. Create a roundup blog post linking to your most favorite videos on YouTube. Not sure how to embed a YouTube video on your blog? This guide from YouTube can help. Do you have a burning question that you’d like to ask your readers? Ask away and request for them to leave their answer in the comments. This article from Blog Tyrant details the pros and cons of using blog comments to collect survey data, and also offers other options for more advanced users. Have you ever made a Powerpoint Presentation for school or business purposes? Take the content from your slides and expand on it on your blog. If you’re new to repurposing blog content, here is The Ultimate Guide to Repurposing Content from Buffer. How to blog posts are popular, but how about taking a different angle and write a what not to do post? Help your readers have some fun with 101 activities they can do when they’re bored. 101 lists are ultra popular and can be written on almost any topic under the sun. For example, LA Times wrote a 101 Best Restaurants post that is full of photos, price ranges, reviews, and more. Have you attended a free webinar lately? Recap what you’ve learned on your blog. 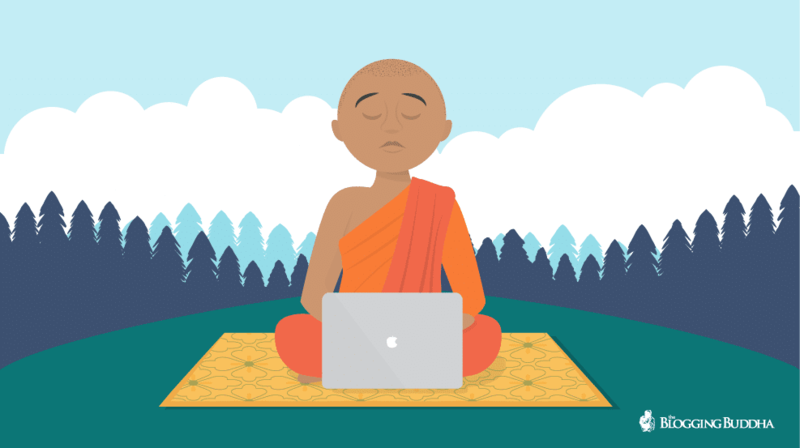 You can even join TheBloggingBuddha WordPress Academy and give your review of our free in-depth video tutorials, slideshare presentations, and more. There are over 270,000 podcasts available on iTunes. List your favorites on your blog. An essentials list can be perfect for anything from camping to cleaning. Write an essentials list in an area that you excel at. Are you an expert at saving time? Write a blog post that teaches your readers how to add minutes or hours back to their day. Forbes has a variety of popular time-saving articles that you can explore and help get your own ideas, such as 5 Fundamental Ways to Save Time And Increase Personal Efficiency in 2015. Are you super savvy with money? Share your top tips on how to save for a rainy day. Just like time, money is also a limited resource for most of us. You can get great ideas on how to save money from the money-saving news archive on Huffington Post. Chocolate? Shopping? Everyone has a guilty pleasure. Share yours with the world. On the other side of the coin, guilty pleasures can also be self-destructive. This article can help you overcome your guilty pleasures as you blog about your journey: How to Overcome Guilty Pleasures. Take two contrasting topics and put them head-to-head in a versus post. Everyone needs to take it easy now and then. How do you get your much-needed R&R? 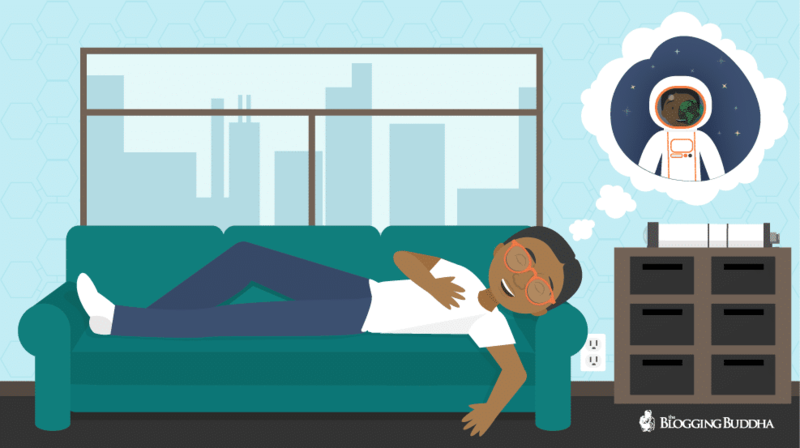 LifeHacker explores How You Can Learn to Finally, Really Relax. How would you feel if you had no Internet or electronics for an entire 30 days? In 2012, Forbes highlighted a story on how one young man survived an entire 90 days without e-mail, social media, or a mobile phone. What industry or general topic do you wish was mentioned more in the news? How would you spend the money of you won the Powerball? Infographics are everywhere these days with every topic under the sun. 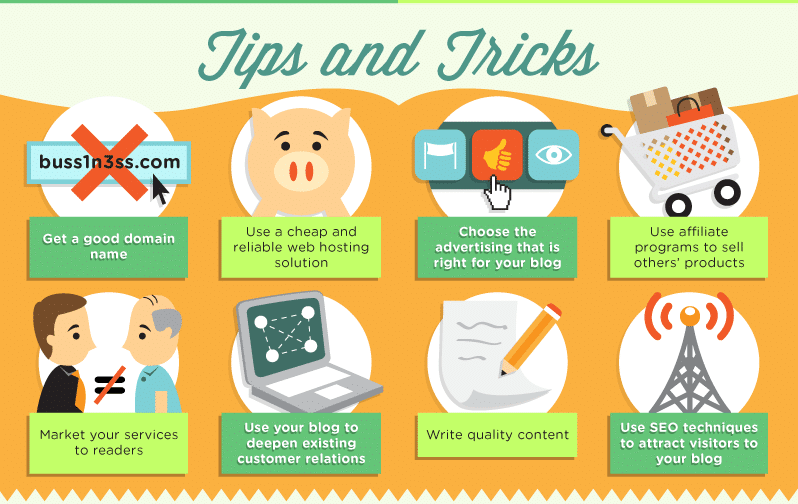 Find an infographic that you think is interesting and make an extended version on your blog. A-Z lists are great because they can be used to create a single long blog post, or even break each letter down into a series. This will get you 26 unique blog topics that you can fill almost an entire month on your blog calendar. 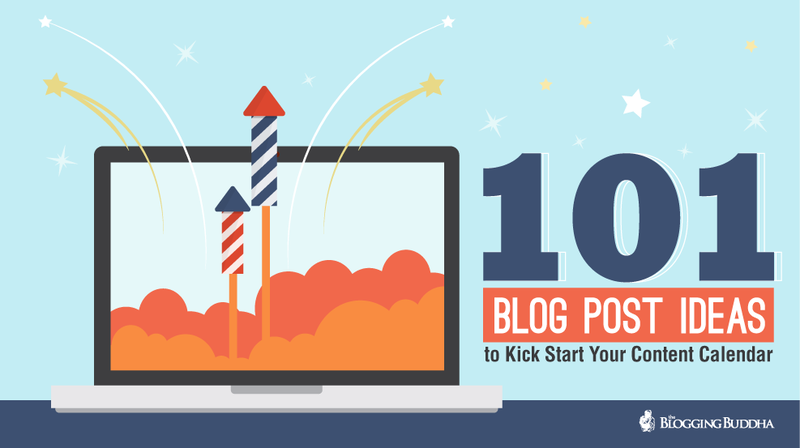 Once you hit the end of the road for your blog topics, come up with another 101 for yourself. This will keep your blogging on track for months, possibly a year or more depending on your blogging frequency. And when you get stuck for topics, you can always come back to TheBloggingBuddha for help with brainstorming more great ideas. What Are Your Top Blog Post Ideas? There may be over 100 great blog topics to choose from in this post, but the truth is that we’ve barely scratched the surface. Feel free to share your awesome blog topic ideas in the comments section below. Now that you have plenty of blog post ideas head over to my free tutorial and get started with your own blog. I’m Mike Brown the founder and editor of TheBloggingBuddha.com. You can learn more about me here and connect with me on Twitter, Facebook, Google +, and LinkedIn.